New and your original existing leaded panels can very easily be encapsulated within double glazed units giving in effect a triple glazed unit . These can then be fitted into both timber and plastic frames. You are able to keep your original period leaded panels and benefit from all the modern technological advancements in glass . Energy efficiency is helped due to reduction in heat loss , better security and ease in cleaning are just some of the benefits from having leaded panels encapsulated within double glazed units . 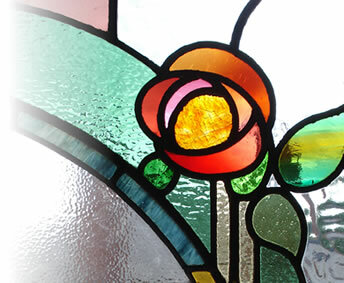 Working closely with the trade and domestic sectors Holme Valley Stained Glass have over many years successfully completed many hundreds of encapsulated leaded glass projects . Please feel free to contact by phone or click the contact link above with your requirements or any questions you may have.